Be the first one to live in this luxurious loft home+UPGRADED HUGE ROOF TOP DECK!!! 2 master suites + flex Loft space. 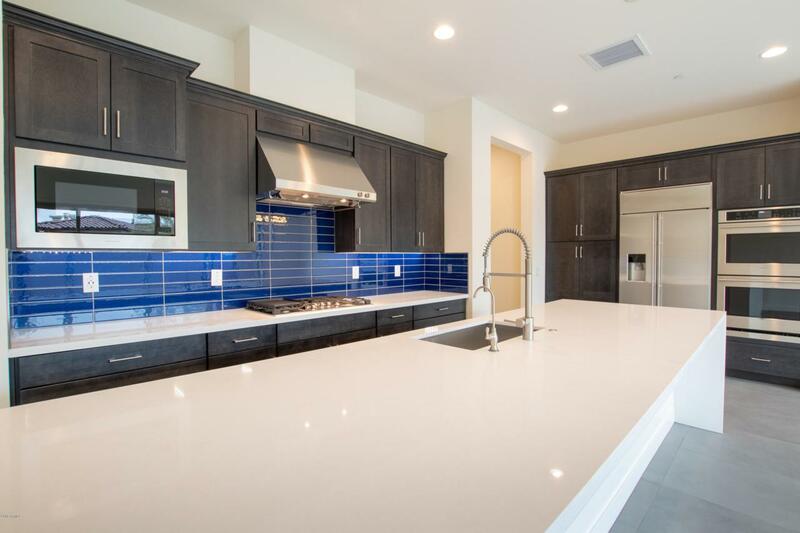 All finishes & fixtures are top of the line; upgraded concrete style flooring, huge quartz island with water fall edge, high end stainless appliances, double ovens, gas cook top range, large upgraded 20' multi glass slider that opens up to your private back patio. Nice amenities in this gated community; enjoy the sparkling community pool year round and the state of the art fitness center. Located near lavish shopping centers, picturesque golf courses and Loop 101 freeway, it provides quick access to the rest of the Valley.